Irvington Court is considered to be a local court by most attorneys that practice traffic law, speeding ticket defense, criminal defense, and zoning issues. Local courts as opposed to higher courts have limited jurisdiction. This court has the power to adjudicate misdemeanor cases, traffic tickets, landlord tenant cases, and small claims cases. 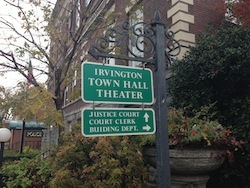 When you arrive at the Irvington Justice Court, there is limited parking on the street. The time limit of 1 hour parking and alternate side of the street parking for street sweeping is strictly enforced. It is advisable that you arrive early to account for parking. The court is conveniently located a few blocks away from the Metro North train station as well as major highways such as the Saw Mill River Parkway. The court can accommodate approximately 40 members in the audience. In general, the front row is reserved for attorneys while the remaining rows are reserved for the general public. About our firm: we have represented clients throughout the Hudson Valley for years. We have defended thousands of criminal matters including assault, driving with a suspended license (AUO 3rd VTL 511.1), and unlawful possession of marijuana. We have also represented drivers against allegations of speeding and cell phone violations. We are lead by a former prosecutor and will fight to protect you throughout your criminal or traffic matter.